9955-SS-DST is rated 4.0 out of 5 by 10. Rated 1 out of 5 by Anonymous from Hand Lever becomes loose at the base all the time The hand lever becomes loose at the base all the time. I have to tighten it on a weekly basis. 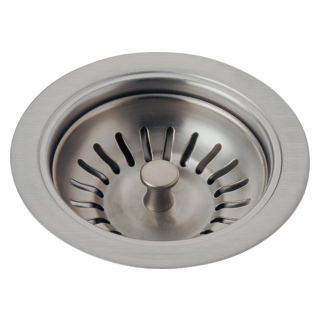 Rated 5 out of 5 by Lees2 from We love the faucet This has been a very good faucet. We've had it for 8 years and have only had a couple of warranty replacement parts needed. Very easy to replace parts and the warranty department was very easy to work with. Rated 5 out of 5 by Terry79 from Great all around. Totally satisfied. Easy to install. Looks great. Super smooth operation. Pull out nozzle sprayer works perfectly. Rated 4 out of 5 by Neena from Great features and finish Recently bought for my new home. Love the design and finish. Have not installed yet, but my plumber states good quality. 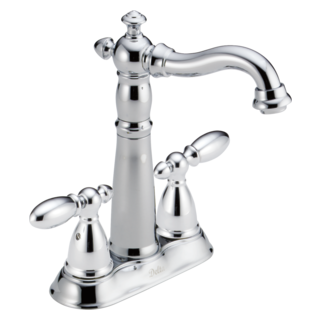 Rated 5 out of 5 by Harry25 from Good design and features - works well My wife choose the faucet and she is pleased with both the appearance and the features. Rated 3 out of 5 by robmyers53 from Love the faucet, but it drips. We love our kitchen faucet, but for the second time in less than 3 years it is once again dripping. We had the valve replaced last year while our home was still under warranty. Now in little more than a year it has started leaking again. I have tried to find a valve locally but have been unsuccessful. Will probably have to order one from Delta. 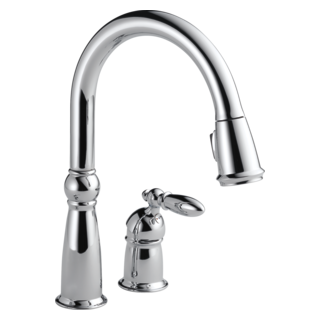 Rated 2 out of 5 by CLNoble from Faucet looks great, but drips We have over 15 Delta Faucets in our home, which was new construction five years ago, we've had no issue with any except the bar prep faucet. It rarely shuts the water off completely on the first and sometimes the second attempt. It was professionally installed so no DIY errors on this one. 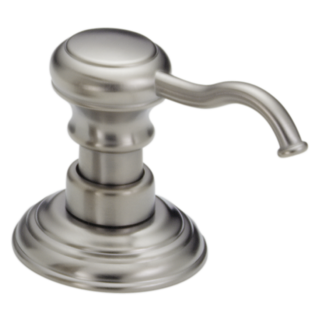 Rated 5 out of 5 by mrmageaux from Love this faucet Looks great, performs even better! Just installed and everyone who has seen the new faucet loves it. Does 9197T-AR-DST swivel at the base or is is stationary? 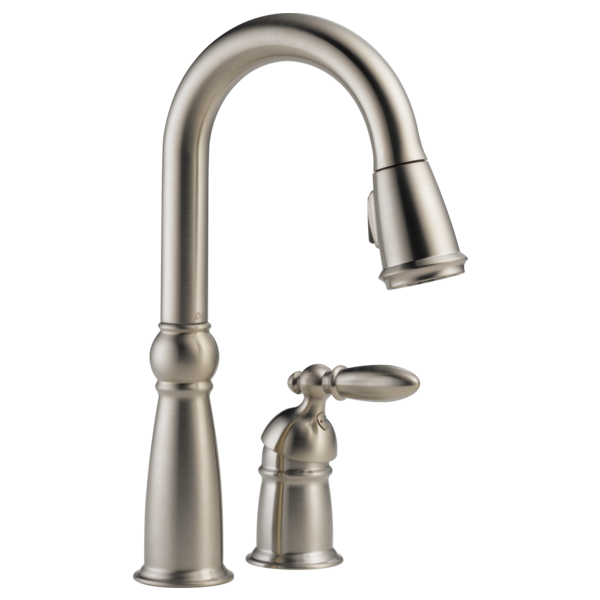 dear sirs I have what I belive is a modle #9955-ss-dst Victorian single handle pulldown bar/prep faucet. my situation is the water controller is lose at the counter top. unit is aprox. 10 years old what repair item do I need . 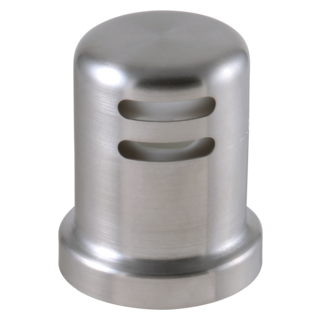 I am trying to hook up a portable dishwasher to my faucet, but there is no threaded fitting at the nozzle (like in &quot;generic&quot; style faucets). Is there an accessory that would allow me to do this? 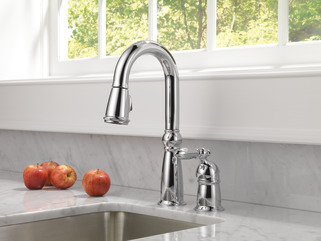 Is the quality the same if the Delta name in on the faucet whether it comes from Lowes or Home depot, then if it is purchases from you or a local plumbing supplier? 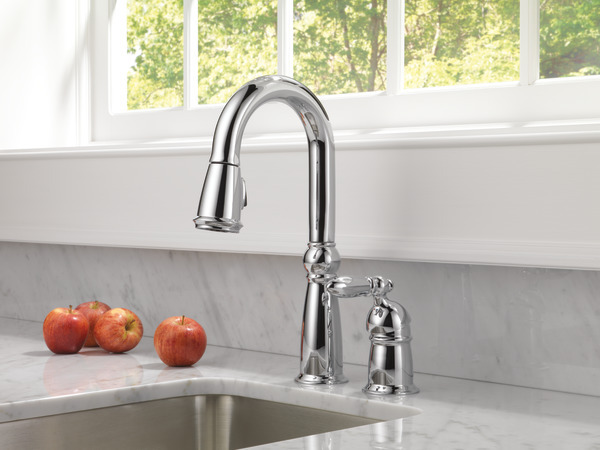 I'm on my second Delta Kitchen faucet in 15 years. One was from a plumbing supply company and the last one from Lowes. I had a plumber look at it and he did not think that he could make it work properly. 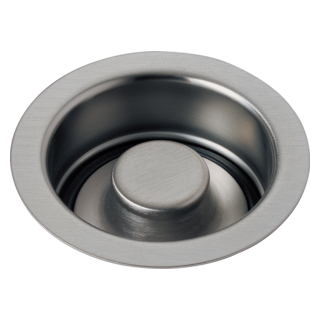 Does the 9955-SS-DST Pull Down Spray Faucet swivel to cover two sinks? Can just the sprayer head be bought to replace an existing sprayer ? If so what is the part just for the sprayer? I want to replace another faucet set with the Victorian Single Handle Pull-Down Bar/Prep Faucet. The holes in my sink are 6 inches apart, and I see that the specs on the Delta are 4 inches apart. Can I use it with 6 inches?